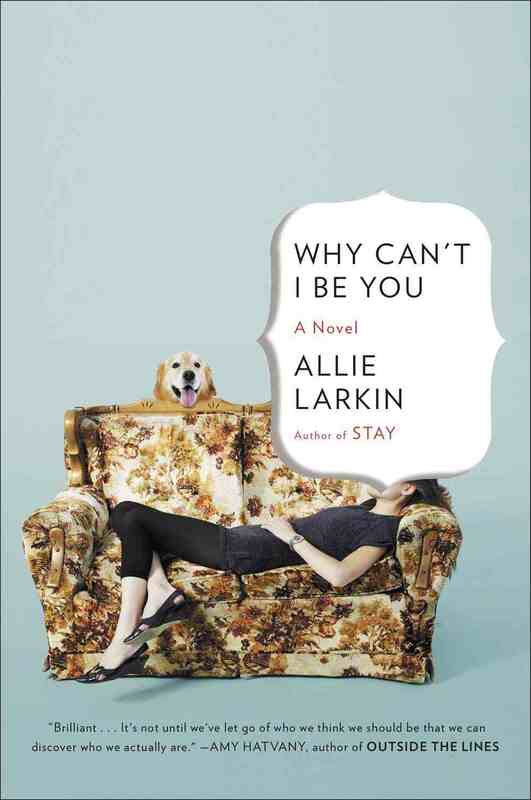 I adored Allie Larkin’s first novel, Stay, and when an advance review copy for her next novel appeared, I might have skipped around with glee. Why Can’t I Be You is a fast paced, quick read with a cast of fantastic characters, a unique premise, and a main character you can’t help but root for. A novel of friendship, identity and loss, Why Can’t I Be You kept me on the edge of my seat, wondering how Jenny’s situation will play out. Larkin has a gift for creating complex characters, rich with internal dialogue and solid histories, both of which she manages to thread through the story masterfully. I never felt like I was being beaten over the head with an information bat as I do with some novels and during the gradual trickle of information, Jenny's motivation and drive surfaces, leading to a deep understanding of her character regardless of whether you can relate at all. Nothing would have ever landed me in Jenny’s shoes (I should have ‘The World’s Worst Liar’ branded on my forehead), but I sympathized and wanted her to make it right – both her life and with those whose lives she had intruded upon. I vacillated between wanting Jenny to tell her new friendly clan she wasn't who they thought she was and to wishing she could to stay and bask in their glow to keep growing and rediscovering herself outside of her mother’s shadow. I loved the unwavering friendship the group had and really enjoyed all of their characters and how, for the most part, they willingly accepting their ‘old friend’ back into their lives. The one thing I did have difficulty with was suspending my belief at times, particularly because the woman Jenny was impersonating had such a drastically different personality and I constantly wondered how they didn’t figure it out. I kept waiting for her secret to be revealed, and to be honest, my favourite part of the novel happened after that occurred and I found this part slightly shorter than I would have liked. Although I may not have loved Why Can’t I Be You as much as I loved Stay (and it would be hard to top one of my Top Reads of 2010), but I will definitely devour anything Larkin writes.